A circus is coming to Manchester and it is going to be one extreme event! If you are wondering how to keep your children entertained this half term, then this could be the perfect event for you! Circus Extreme is a unique event brought to you by the producers of The Moscow State Circus. Taking place during the school holidays, this is the ideal way to keep children entertained over the half term. 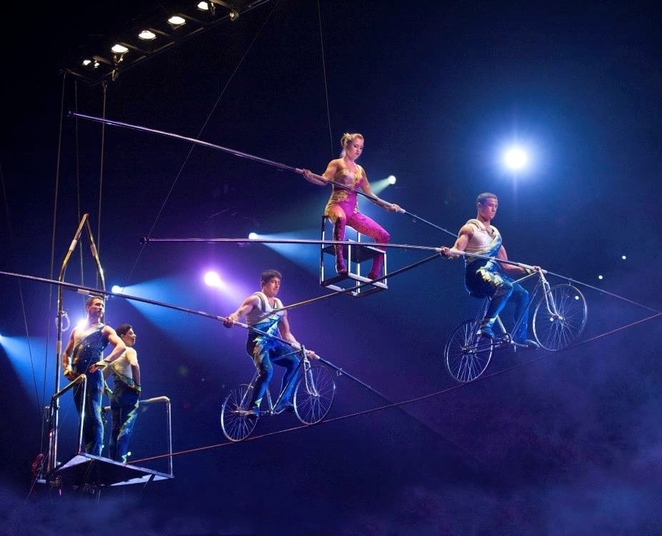 The circus will be an action-packed event which you will not want to miss. Full of stunts, fun performances and amazing acts, this is sure to entertain the whole family. The circus takes place in a giant big top, specially designed to house all the performances, where you can immerse yourself in this exciting world and escape the winter weather. Make sure you don't miss out on this exciting show as it tours the world, there is something for everyone in this adrenaline filled show which packs in non-stop entertainment. This is the only place in the UK the circus is visiting, so visitors of the city will be lucky to get a ticket to this exciting show. The event is truly unique and has been created over five years, so you are sure to see one of the most exciting shows out there. You can watch some of the world's best performers take on death-defying stunts and wow the crowds. Acts include high wire walkers, a wheel of death, contortionists and clowns. With a showtime of around two hours, this is set to be a great day out where you can sit back and enjoy the show. The circus is taking place at Event City in Manchester from the 9th February until 25th February 2018. Showtimes vary each day, but there will be an afternoon and evening show each day. Cheaper tickets do not have assigned seats, so you will need to arrive early to get the best view. Tickets cost Adults between £12-36 with the option to purchase VIP or grandstand tickets and Child tickets cost between £8-£32. Disabled visitors can call the box office to get a discounted price and assistance with access. To book you can call 0203 375 3970 between 9am-9pm daily or book online. Enquires can be made to enquiries@circusextreme.co.uk. Don't miss out on the only chance to see Circus Extreme in the UK, you will be on the edge of your seat!